Have vocal cords, will travel. It also helps to pack a self-deprecating sense of humor, as members of The Irishman’s Chorale – Amhránái Na Gaeilge in Gaelic – take their mission much more seriously than themselves. “If you present yourself and they detect a pulse, you can get in,” said Tom Pugh, a parishioner of Ascension in Halethorpe, of a local group dominated by men from parishes in the Archdiocese of Baltimore. “Dedicated to the preservation of Irish history through music and song,” The Irishman’s Chorale recently celebrated 25 years. More than half of its 30-plus annual performances occur in March, near St. Patrick’s Day, but members rehearse twice a month year round, ready to lend their spirit. Eighteen of its 50 members ventured to Cecil County Sept. 18, testing the tiny choir loft of St. Patrick Chapel in Pilottown, where an 1832 structure was being rededicated after a 10-year preservation effort. On the Saturday before the Aug. 21 feast of Our Lady of Knock, the Marian patron of Ireland, The Irishman’s Chorale visits the parish of one of its members. This year, it went to St. Gabriel in Woodlawn, where Ed Piechowiak is a parishioner. 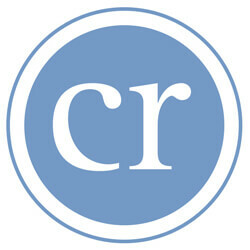 Most members are retired. Not all have a singing background. The rolls are dotted with men who were raised at parishes in Northeast Baltimore, such as McCoy and Pugh, who went to the Shrine of the Little Flower and grew up, appropriately enough, on Shamrock Avenue. Jim Dunnigan, president since 2007, went to the parish school at Little Flower. Like the tales they weave in song, he describes a heritage of service among members that is considerably older than The Irishman’s Chorale, which in the last five years has raised $25,000 for assorted charities. 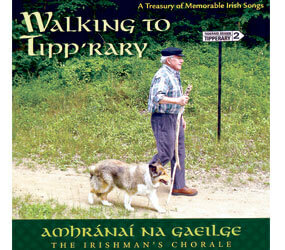 Many of those experiences occur in retirement communities, such as Charlestown and Mercy Ridge, where its 2007 CD, “Walking to Tipp’rary,” was recorded. The Irishman’s Chorale is a regular at the annual commemoration to the Irish Brigade at Gettysburg National Cemetery. A 2002 tour of Ireland dominated Mike Ryan’s oral history of the group, which he shared at their 25th anniversary dinner, where the crowd included their founder, Larry Feeley Jr., and their chaplain, Father Raymond D. Martin. The Irishman’s Chorale will play a Celtic Christmas Concert at Prince of Peace Parish in Edgewood Nov. 23. For a schedule and information on how to join, call Dunnigan at 410-592-2696 or visit irishmans-chorale.org.